OK, I can’t believe this is available. But through our friends at Zozi you can buy an all day surf lesson with big wave charger and smoking hot surfer Maya Gabeira. Maya has won 5 Billabong XXL awards for those that aren’t aware, as well as Best Female Action Sports Athlete at the 2009 ESPY’s. 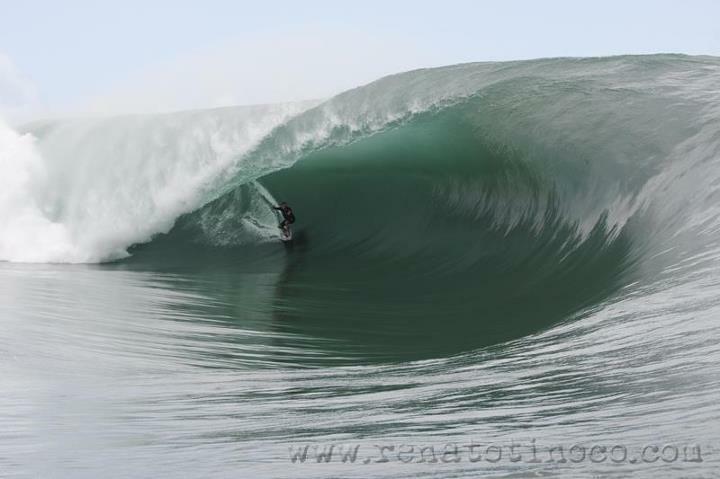 She rode the biggest wave ever by a woman at Dungeons in South Africa in 2009. So she’s got the cred to teach anyone short of Kelly. If you gift this to someone, they will be your BFF guaranteed. Hand’s on surfing instruction from a big wave surf champ, Red Bull athlete and zozi Guru – Maya Gabeira. Three hour small group surf lesson, followed by a long, leisurely lunch with Maya. Friendly environment for beginning surfers, skill development for experienced riders. Instruction starts on shore covering surf basics, then moves to the water for two 90 minute lessons. Guidance on paddling, balance, wave selection and timing. Surfboard rental and custom zozi rash guard included. Post-surf lunch and cocktails with Maya at the Shore’s Restaurant, a beachfront cantina. The poise, confidence and skill to charge like Maya, but you WILL get better. Spend a day with surfing legend Maya Gabeira, learning essential surf basics to get you riding like a pro. On the shores of La Jolla Beach, meet, learn and surf with Maya, as well as one of California’s most reputable surf instruction companies, Surf Diva. Maya caters the surf session to your ability, providing feedback while in the water. She’ll get you dropping in on waves perfect for those new to surfing. Take breaks on the beach under a sun canopy. Hydrate, stretch out, then tackle another set. Post surf session, head to the Shores Restaurant for an oceanview lunch and refreshing margaritas. On the patio, chill with Maya while she shares stories of what it’s like to travel the globe in search of the world’s biggest waves. Get it at this link and save $10.